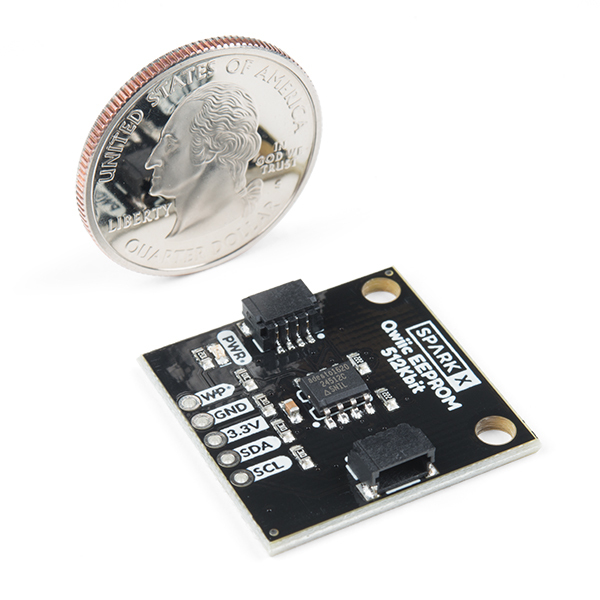 Add some serious data storage to your latest project with this 512Kbit (64KB) EEPROM. 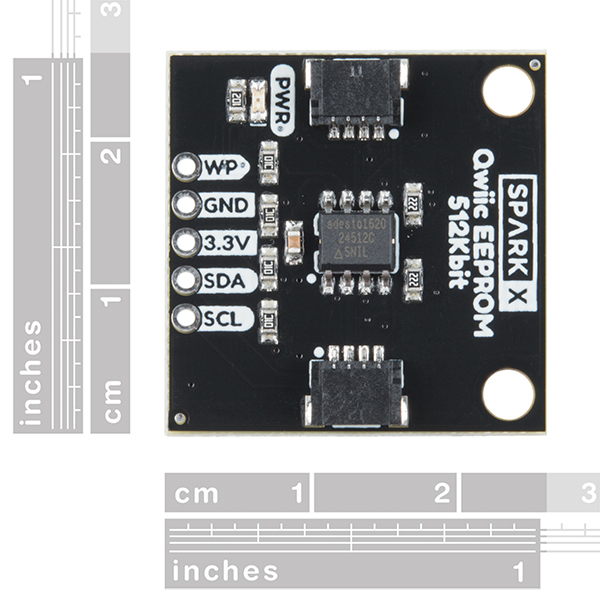 Some flash based microcontrollers (like the SAMD21) do not have EEPROM. 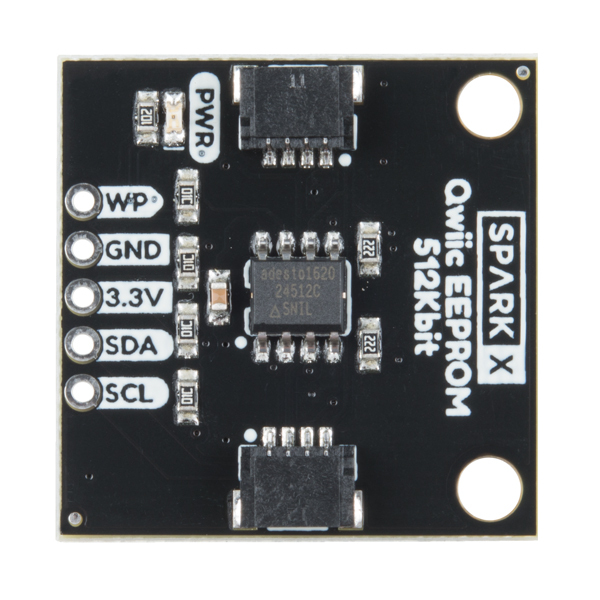 Use the Qwiic EEPROM for storing things like GPS waypoints and other user settings that need to be maintained between sketch uploads. 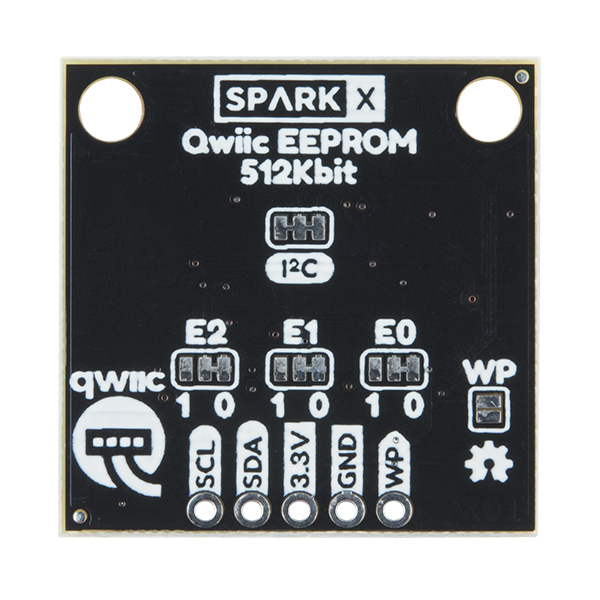 Qwiic EEPROM has 3 address jumpers, allowing for up to 8 EEPROMs on one bus. I really like playing with this EEProm. The Qwiic interface makes it easy to set up. I got tired of writing data in individual bytes, so I wrote a library to read and write to the Qwiic EEProm with arrays and streams. The library allows one to use the Stream and Print functions to write to the EEProm as a Stream device. 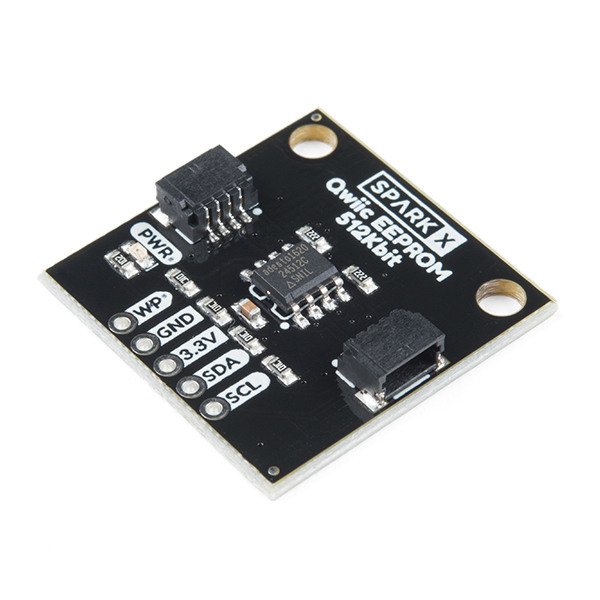 It supports a C-like cursor, so one can use the EEProm similar to a file in C. It also has some convenience functions to read and append data as text lines. I really like this EEProm. It makes a good way to add persistent storage to a project without too much effort.